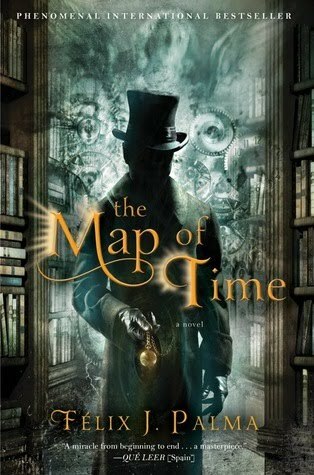 This novel follows the stories of three characters who each encounter the possibility of time travel in their own ways. While presided over by a mysteriously omniscient narrator, their paths overlap, with a skeptical H.G. Wells at the center. The story is woven together quite nicely in this way, and I enjoyed their individual perspectives on the subject and the occasional comments and interjections by the narrator. While the story is about time travel, it is more about the questions posed by the possibility of it, and the implications such an ability would have, rather than the act of doing so. Could you change the past? Could you leave a dull present for an adventurous future? What affects the fabric of time? Each character struggles with these questions and their experiences greatly effect the choices they make as well as their understanding of the world around them. Overall, this story was not exactly what I expected it to be, but was certainly not disappointing. The author had me fooled over and over again, leading the story in one direction, then changing it abruptly. This kept things interesting, since the story did have its fair share of slower parts, but in the end, I felt that these portions were necessary to really appreciate the characters. It’s largely the end of the story, the last hundred pages or so, where things really pick up and get interesting. The author had a tendency to start at least half of his sentences with “and” for some reason, often when it didn’t seem to help the flow. He also used the word “atavistic” quite a few times. This detail is probably only interesting to me, but my exact birthday was used on page 535, down to the year, which was a little surprising.